Closed toe shoes are required - No Exceptions. 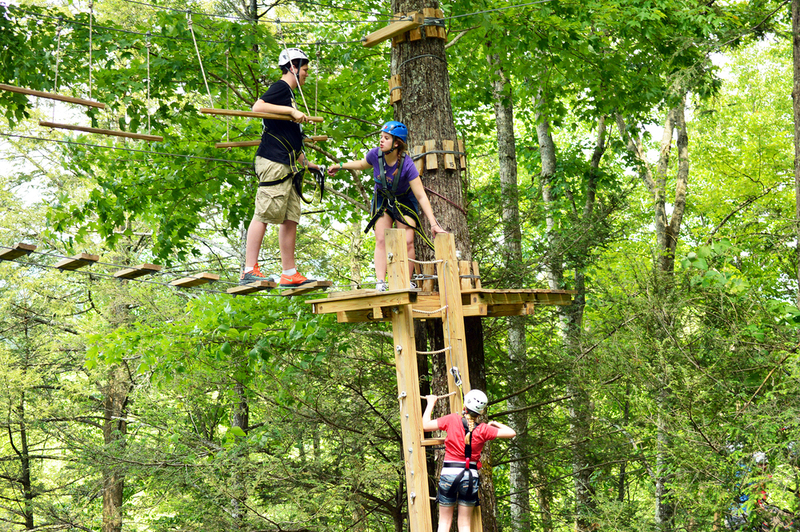 Zip Gatlinburg's 14 obstacle Tree Trek is one of a kind. Challenge yourself through bridges, ladders, log steps, and sky bridges high in the trees next to the National Park. Go at your own pace through this tree canopy maze! Your guide will be on the ground following you as you go through each obstacle, and will be available for help at any time. Participants must be at least 52 inches tall. If you have any chronic or recent injuries or have had recent surgery, be sure to tell you guide so they can properly accommodate you. Children under the age of 15 must have a parent or guardian participating in the activity. Dress comfortably and appropriately for the weather. We zip in most weather conditions, so make sure you have jackets, raincoats, gloves, etc. You will need to stay warm, dry and comfortable for up to an hour to an hour and a half. Tour duration vary depending on tour size, guide experience, customers comfort ability. 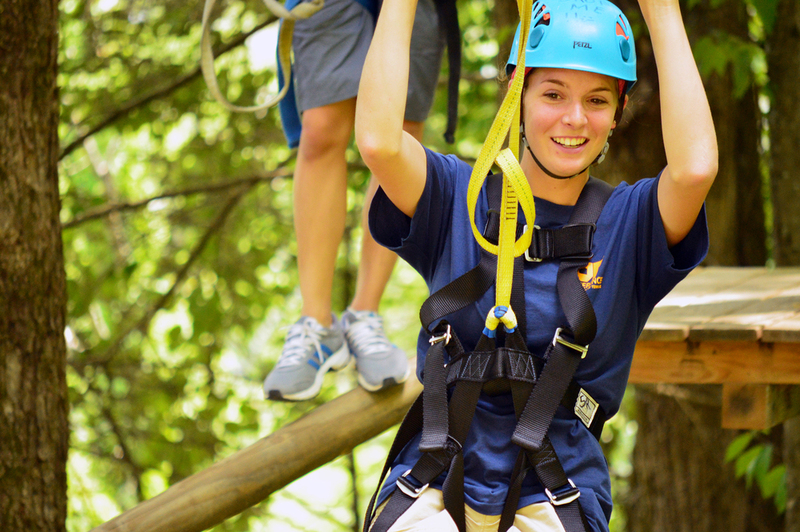 Trained guides will harness you and your family in state and industry certified equipment and gear, full body harnesses and helmets, transport you up the mountain a few blocks to the zipline and tree trek course.